Election Central - Randall Republicans . 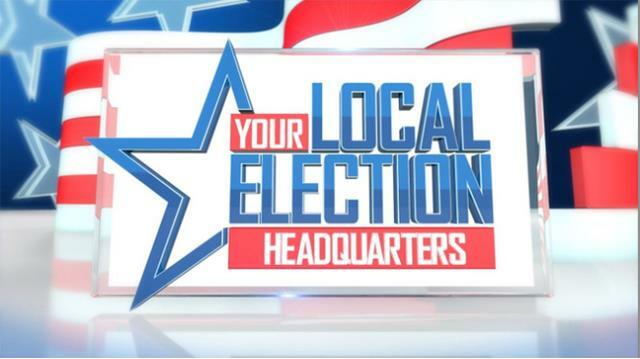 Click here to see the 2019 Amarillo City Council candidates. Click here for information about the Amarillo ISD Board candidates. Click here to see the Bushland ISD Board candidates. Click here to see the Amarillo College Board candidates. Click here to see the Randall County voter info for the May 4, 2019 elections. Click here to see the Potter County voter info for the May 4, 2019 elections. Click here to see the Potter County sample ballot. On the left is the QR code for the Election Administration's website. The web address is randallvote.com. ARE YOU REGISTERED TO VOTE?!?!?!!? CLICK THIS BANNER TO CHECK YOUR VOTER REGISTRATION!!!!!! You can also use the MVP website to print off a personalized voter registration application that can be mailed to your local registrar. Contact the Randall County Election Administration Office at 806-468-5539. Potter County Elections Administration is located at the Santa Fe Building, 900 S Polk, Suite 320. Please contact Bobbye VanDyke at 379-2299 if you have questions. Q: Which Randall County Republican Precinct am I in? A: Click here to go to the state voter registration site. When you enter your information, it will provide your Randall County Precinct number. A: Or, click here to see a Randall County Precinct map. Q: Who is my precinct chairman? A: Click here for a list of Randall County Republican precinct chairs. Q: How do I contact my precinct chair? A: If he or she does not have contact information on the website, you can click the email button and send a message, or contact our County Chairman Terry Harman. Phone number and address are at the top of the page.